Brussels, Belgium (April 5, 2018) – At the Ordinary General Meeting of 9 May 2018, the Board of Directors of Kinepolis Group NV will propose to appoint Mrs Marleen Vaesen, official representative of BVBA Mavac, and Mrs Sonja Rottiers, official representative of BVBA SdL Advice, as independent directors. Until early this year, Marleen Vaesen, who has a Master’s degree in Applied Economic Sciences (KU Leuven) and a Master of Business Administration (U of Chicago), was CEO at Greenyard. She formerly held various international positions at Sara Lee, was General Director at Douwe Egberts Belgium and held various marketing management positions at Procter & Gamble. Marleen Vaesen is also a member of the Board of Directors of Van de Velde. With a Master’s degree in Applied Economic Sciences (UAntwerpen), Sonja Rottiers has a long and extensive experience in the financial and insurance sector. She held the position of CFO at Dexia Insurance and Axa Belgium, and of CEO at Dexia Insurance and Nationale Suisse Insurance. Sonja Rottiers is not only a member of the Board of Directors and chairperson of the audit committee of Leasinvest, but also a member of the Board of Directors, the risk committee, and the audit committee of ING Bank. Marleen Vaesen and Sonja Rottiers complement each other well and their expertise and experience will add value to the Board of Directors of Kinepolis Group. After a 40-year career in the cinema sector, 20 years of which as CEO of Kinepolis Group, Mr. Joost Bert has decided to cease his mandate as CEO and will become chairman of the Board of Directors, as of the General Meeting of 9 May, 2018. This means that Mr. Eddy Duquenne, who has been joint CEO of Kinepolis Group since early 2008, will continue to run the daily management of the company as the sole CEO. Mr. Philip Ghekiere, currently chairman of the Board of Directors, will continue his role as vice-chairman of the Board of Directors. Further, the renewal of the mandate of Mr. Geert Vanderstappen, official representative of Pallanza Invest BVBA, will be proposed, until the General Meeting in 2022. Mrs Adrienne Axler has decided not to renew her mandate as independent director, which will end at the Ordinary General Meeting of 9 May 2018. The Board of Directors wishes to thank her for her valued contribution during the past two years. 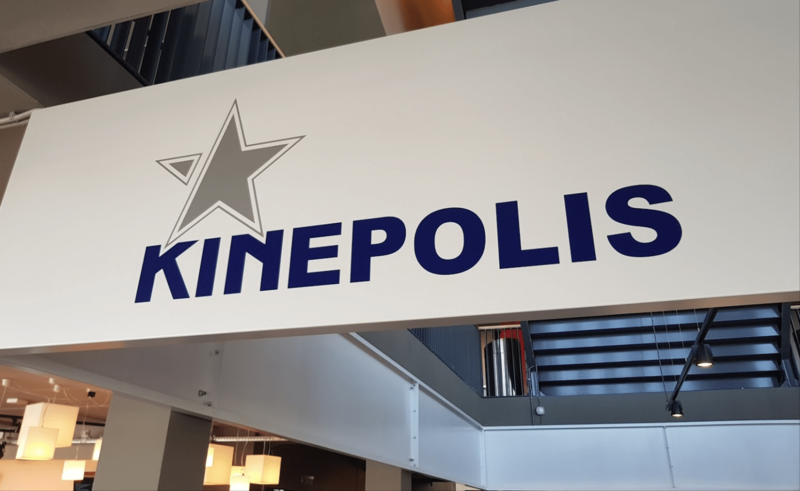 In Europe, Kinepolis Group NV has 50 cinemas spread across Belgium, the Netherlands, France, Spain, Luxembourg, Switzerland and Poland. Since the acquisition of the Canadian movie theatre group ‘Landmark Cinemas’ in December 2017, Kinepolis now also operates 44 cinemas in Canada.